On January 17, WhaleWatch.io posted on his Twitter that the hackers of New Zealand’s Exchange Cryptopia transferred more than 300 million SpankChain tokens (SPANK) (i.e. 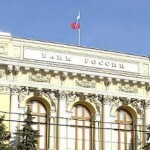 $4.2 million) to the wallet, which allegedly belongs to the Central Bank of Russia. According to WhaleWatch.io, the Russian Intelligence Services hired hackers to attack Cryptopia. 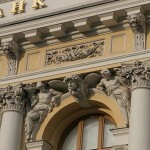 WhaleWatch.io wrote that the Central Bank of the Russian Federation was an active user of cryptocurrencies. According to the Twitter' user, on January 17, the Bank transferred 250 thousand Bitcoins (BTC) to the Bittrex Exchange account from its crypto wallet. It is worth noting that the author has no evidence supporting the fact that the wallet really belongs to the Central Bank. This means that the coins may belong to anyone. 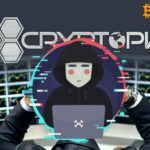 On January 16, the New Zealand police reported on the investigation of a hacker attack on Cryptopia. They also told about the creation of an operational team, consisting of the experts from the Criminal Investigations Division and the High-Tech Crime Unit. The police has already examined the Exchange office and is now analyzing digital information. Their key goal now is to find the stolen cryptocurrency. 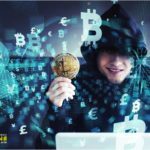 The information that the Central Bank plans to invest about $470 billion in Bitcoin caused vague apprehensions that the Russian Intelligence Services were involved in Cryptopia hack. As it was stated by Vladislav Ginko, a lecturer at the Russian Presidential Academy of National Economy and Public Administration, the cryptocurrency will help evade sanctions and strengthen the country’s economic sovereignty. © 2018 bit.news | queries 223, for 0.431 sec.